Cars produce thousands of data points every second, yet we've been trained to believe that a car should give us information with these tiny mechanical gauges that mostly hover somewhere in the middle. Boring. Here are ten cars that use the best technology available to communicate all the data a car produces. 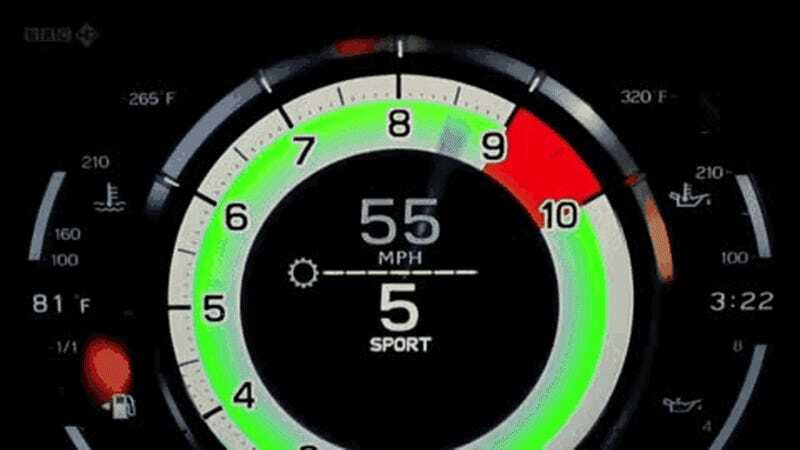 You either love or hate the GT-R's instrument cluster, but there's no denying that it's informative. Thank heavens I don't need to worry about torque split with the Autobianchi. While it might look busy at first, you will need all the info you can have when you unleash 1,200 horsepower to the tarmac via your rear tires. You thought your Honda S2000 was cool? Well, it is, but let's go back in time a bit with Pontiac's digital dials. Michael Knight was certainly proud of GM. You millennials can keep your fancy distracting dashes. Bah humbug! The new Viper almost bites you when it's time to shift up, but the Corvette beats that just like their sales department beats SRT. New Stingray is pretty neat. When I was a kid, my uncle Warren had a Buick Riviera, and whenever the family got together, I'd do whatever I could to ride in his car. Why? Because of the touchscreen CRT in the dash. It didn't matter where we were going, I'd go on boring errands with him just so I could play with that touchscreen. To this day, I really want a car with that display in it. I love the whole school-issue Apple II-esque green monochrome graphics of it, I love the fact that they stuck a tube monitor in the dash of a car and I wish I could enjoy how satisfying it was to use again. Using it had this weird yet wonderful feel to it that's hard to explain, it was 100% digital but felt somehow analog. The eighties were indeed awesome. Talking of which, I really want an XT. Please tell my why I shouldn't. Suggested By: reverberocket is nipping the apex..and gently blowing in it's ear. Subaru XT - analog FTW! This is why America needs modern Citroëns. If they could do this thirty year's ago, imagine what a DS5 is like! Some say screens drain batteries, but Mr. Scorpio disagrees. This is what all modern interiors should look like. People will tell you how the Lexus LFA's display is fully customizable. That's completely irrelevant information. What you need to know is this. Keep your 458, I want this Toyota. The LFA rev warning/shift lights and moving gauges are pretty cool.